Color, rinse, re-pet! Crayola scribble scrubbie pets are adorable, colorable and washable pet toys for kids that little would-be groomers can customize again and again! 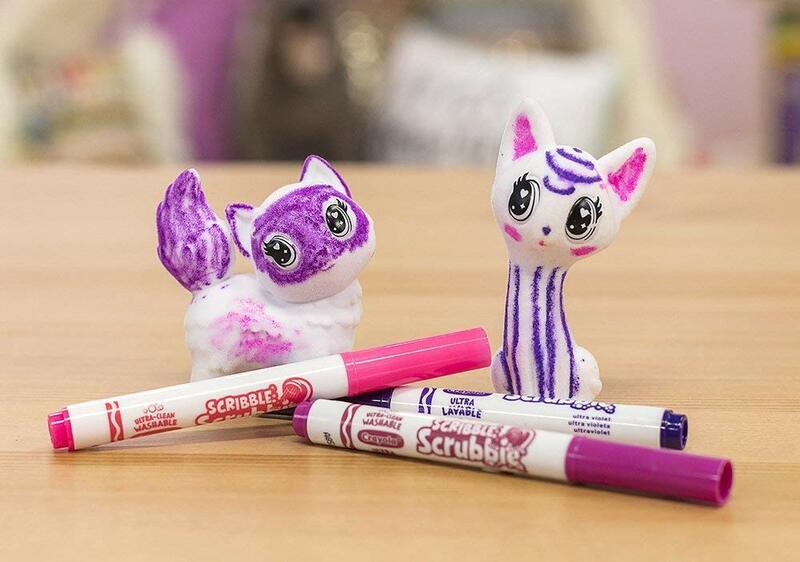 Choose a pooch or get smitten with a kitten and color with the 6 included scribble scrubbie washable markers. And when you’re ready for something new, pop ‘em in the scrub tub to get cleaned up. Create new colorful coats as often as you like! There are 4 scribble scrubbie pets inside and additional expansion packs (sold separately) for a total of 12 adorable pet characters. Birthday parties are made more fun with this fun coloring activity, and it makes a great gift for kids, ages 6 & up. Collect them all!